I’ve reviewed plenty of bad games during my time here at We Got This Covered. From terrible reboots that never deserved another chance to your typical licensed dreck. And while those experiences were painful, the worst kind of game you can review is one with potential that never comes together. Such is the case with Avalanche Studios’ Generation Zero. There’s an interesting title here somewhere, but it’s almost impossible to see under a litany of problems. 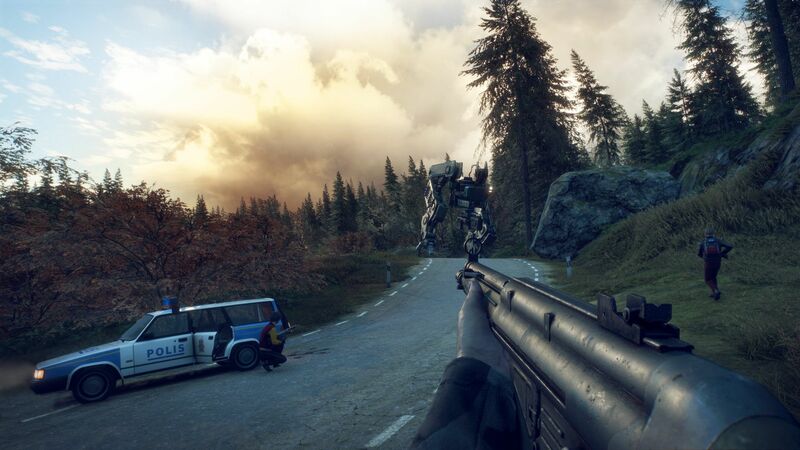 Taking place in late 1980’s Sweden, Generation Zero is a different kind of survival tale. As just a regular teenager, you are thrust into a conflict you don’t understand with little in the way of help. The only skills you have are the tricks you learned through mandatory military training. This training couldn’t have come at a better time, as a rogue robotic menace has systematically worked to eliminate human life across the country. It’ll be up to you to not only take down these metal menaces but to also figure out just exactly what went wrong. There’s an intriguing story at the heart of Generation Zero, but good luck getting to it. I’m a sucker for unique takes on the end of the world, and whatever is going on here is definitely fresh. However, the way the story is told is meandering and meager, that it’s hard to pay attention. It often feels like you are given literal crumbs to follow, as you slowly try to piece together what happened. There are no NPCs in the game, so pretty much every bit of information you get is either through notes or garbled recordings. The idea of running into someone is a carrot on a string designed for you to push forward, but eventually, you realize you’ll never get it. It’s certainly a unique way to tell the story, but that doesn’t make it a good one. The limp story isn’t just bad from a narrative perspective, though. It also drags down the quality of the missions you are given. With no one around to interact with, and often little in the way of backing detail, every mission feels like a tedious slog. You’re often just sent from one location to another with no direction or motivation. It’s these moments in Generation Zero that should have been filled with detail and characterization. Side-missions should be about more than just getting some pitiful loot. It’s hard to find the will to trudge through all of the missions when the rewards are often so uninteresting. It’s also hard to get motivated to tackle a quest when the world around you is bland. The sweeping landscape of Sweden can look and feel majestic at times, yes. It’s a pretty unique setting; one that probably would have been better utilized in a different game. In Generation Zero, though, it’s a big open space of nothing. You can wander long stretches of land and see nothing but trees and dirt. And the handful of buildings you come across are reused repeatedly. All of the public housing looks the same. As do the churches and military compounds. There’s no thrill in exploring when everything pretty much looks the same. It’s a shame that the game’s exploration is such a drag, because it’s combat ain’t too bad. As a teen, you’re obviously not a skilled marksman. So every showdown with a robot feels appropriately weighty and intense. The best way for you to survive is to study each robot you come across, and figure out what it’s weak spots are. From there, the combat kind of reminded me of Horizon: Zero Dawn. You pick your shots and meticulously work to breakdown these metallic beasts. It’s far from perfect, but the engine is decent enough that I think it holds promise. That’s about the only positive aspect of the gameplay though, as it seems like Avalanche Studios is actively punishing players at times. The inventory management is an overly complicated mess that is so terribly designed it feels like it was done on purpose. Why don’t items stack when they should? Why don’t quick use items automatically refill if I have more in my inventory? You’re constantly forced to open up your inventory, sometimes during the heat of battle, in order to reassign something that should have been done automatically. It’s infuriating. Another frustrating aspect? Generation Zero implores you to use stealth, but rarely gives you the tools to do so. Robots can sense you from what seems like miles out, which makes sneaking up on them almost impossible. It also seems like they can spot when you are coming out of a safe house, as just about every time I left one, I had to sprint away from a potential massacre. Or maybe they just heard me killing other bots that respawn repeatedly in your supposed safe house. Nothing safe about that, if you ask me. Generation Zero is also borderline unplayable alone. Avalanche Studios clearly designed the title with multiplayer in mind, but the option for single-player is there. The title, however, doesn’t seem to scale difficulty, regardless of how many players there are. You’re often overwhelmed by robot forces that would seem much more manageable with allies. The game does give you an abundance of adrenaline so you can respawn, but that doesn’t actually fix the over-the-top difficulty. Even the multiplayer is handled poorly. There are no lobbies or anything. Instead, you are just randomly matched up to a game in progress. You don’t always spawn near your host, though, and they could be anywhere on the map. And while the items and levels you collect save, the only way mission progress saves is if you are hosting the game. If you’re getting nothing out of following the missions, why even bother doing them then? There’s a cool idea here, but it all feels so poorly thrown together. 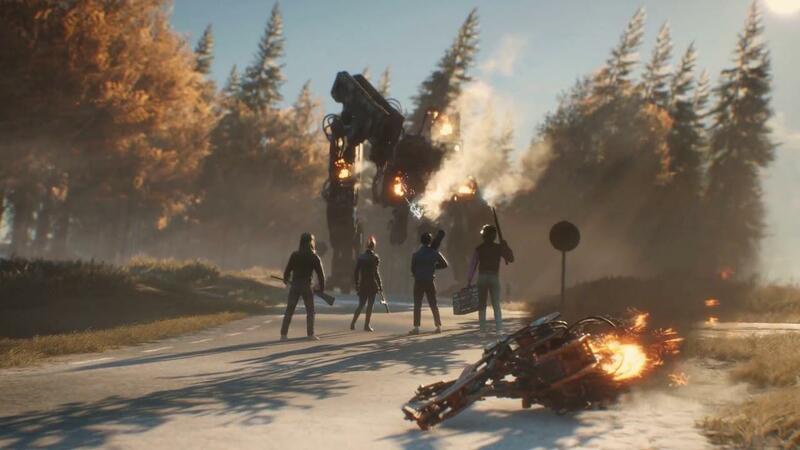 Playing on a regular PlayStation 4, Generation Zero’s performance leaves a lot to be desired. It’s frequently beset by crippling lag, even when you wouldn’t expect it. During one play session, I was running through an empty military compound in what felt like slow motion. And it only let up when I left the base entirely. I also had to deal with constant input issues when it came to switching weapons. It just wouldn’t recognize when I wanted to switch my gun, which is what you really want to deal with during the heat of battle. Maybe it runs better on a PS4 Pro, but the performance here is still unforgivable. 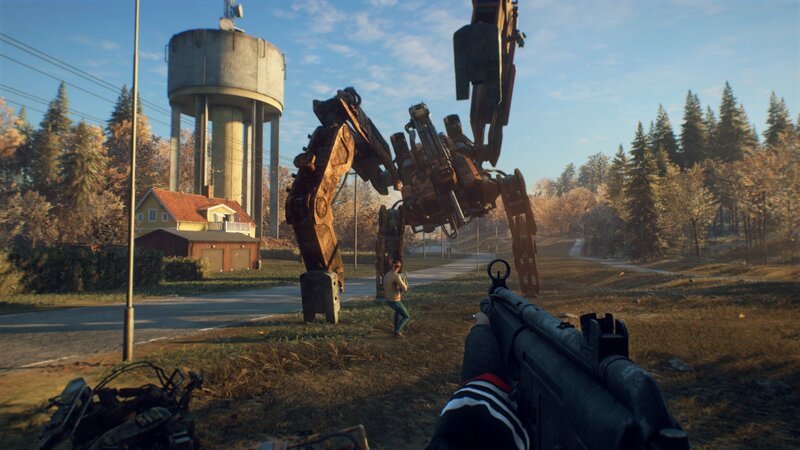 Despite all of the many, many issues I have with Generation Zero, I still think there’s an interesting game buried within. The setting is unique and haunting, the combat is serviceable, and the tale of AI run amok is timeless. However, in its current state, it’s is an unpleasant chore to play. Playing alone oscillates from boring and bland to exasperating, and its online play feels thrown together at best. Maybe Avalanche Studios will fix the myriad of issues here over time, but for now, it’s impossible to recommend. This review is based on the PlayStation 4 version of the game. A copy was provided by Avalanche Studios.